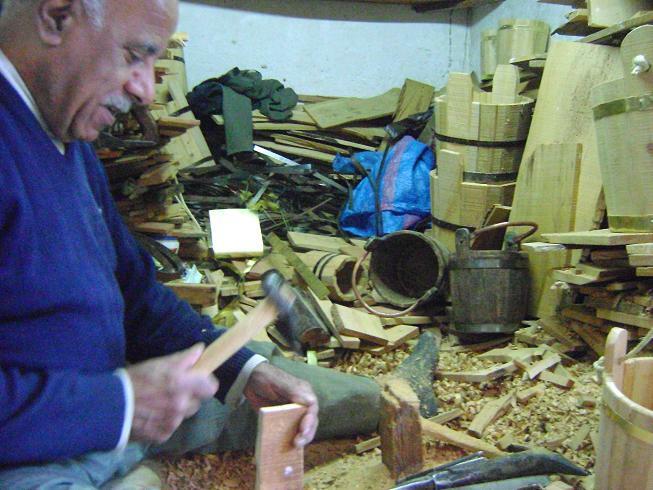 Artisans Of Morocco | Hand crafting your experience from a Moroccan medina. 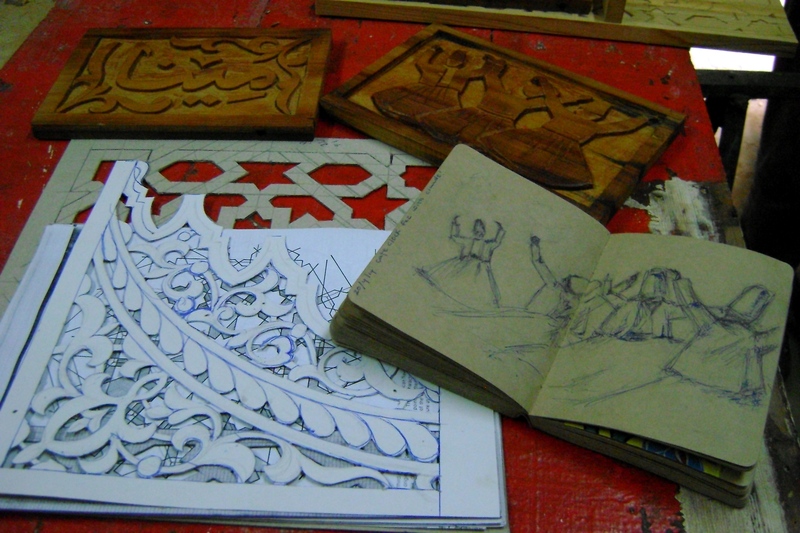 Endearing new relationships, spiritual journeys and a deeper insight into the art of traditional Moroccan wood carving are experiences Minah Khalil encountered over her two week, Fez residency. Organized by Culture Vultures, Minah’s apprenticeship was under the graceful and chuckling guidance of Hassan. His inherited workshop encompasses an thick inner wall of old carved doors, frames, shelves and other crafted treasures going to, or coming from, the interiors of Fez medina. Pilled high from floor to ceiling it is a museum-worthy installation in itself. Day one our apprentice was having utilize a sports hand muscle builder as the practice of the chisel proves to strain a unaccustomed hand. Comfortable with a pen, hand gestures and a smile as a common language I left the scene of Mallum and Minah and a pot of tea brewing. By the end of the week she was in full flow, designing from her budding sketch book and filling every minute of her waking day. Minah’s spring break fortuitously overlapped the Festival of Sufi Culture and her spiritual practice takes that very path. Combining the gentle teachings of Hassan, the practice of a blessed skill, round tables, sufi performances, recycles, (Dikr) and new found acquaintances this open hearted Culture Vulture was full of serendipities and smiles. 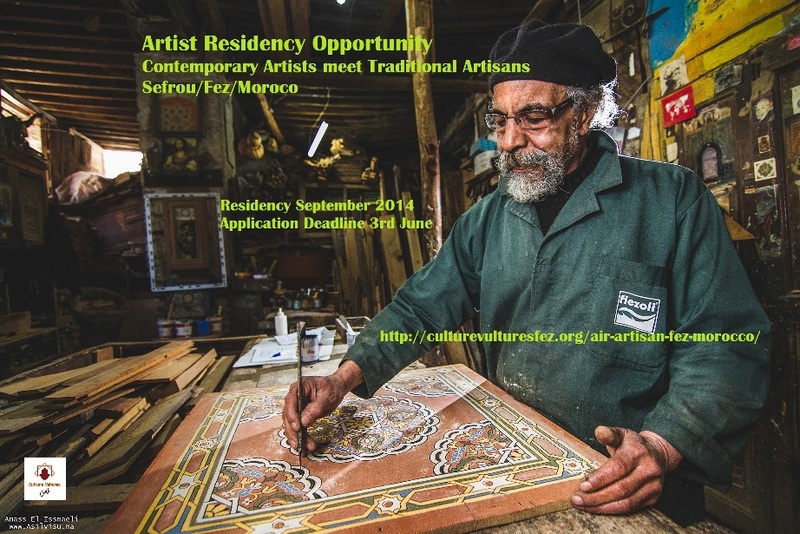 Tags: Artists residency Morocco, traditional art Morocco, wood work apprenticeship. Over the 4 years Culture Vultures (CV) has been fortunate enough to encounter and befriend a range of Fez based artisans who are masters in their trade either working independently or from guilds and cooperatives. Culture Vultures’ mission is to facilitate accessibility to the arts sector in Morocco and therefore promotes fostering relationships and understanding between Fassi art practitioners with those visiting from around the globe especially via its Artisanal Affairs program. As founder of CV, the opportunity for Artisanal Affairs and Exposé Artisanal, to connect traditional creator with contemporary artist has personally been one of my favorite outcomes out of this copious adventure. Local photographers Anaas Med El Issmae ( above), Vanessa Bonnin ( above) and Omar Chennafi are playing a part in the tool box. Their predecessors, Holger Gross and and Hollis Bennett, kick-started the bravura portfolio. In addition, a current Fullbright researcher Betsy Bolton is ploughing through a harvest of artisans’ stories shot on film on International Storytelling Day in March 2014. 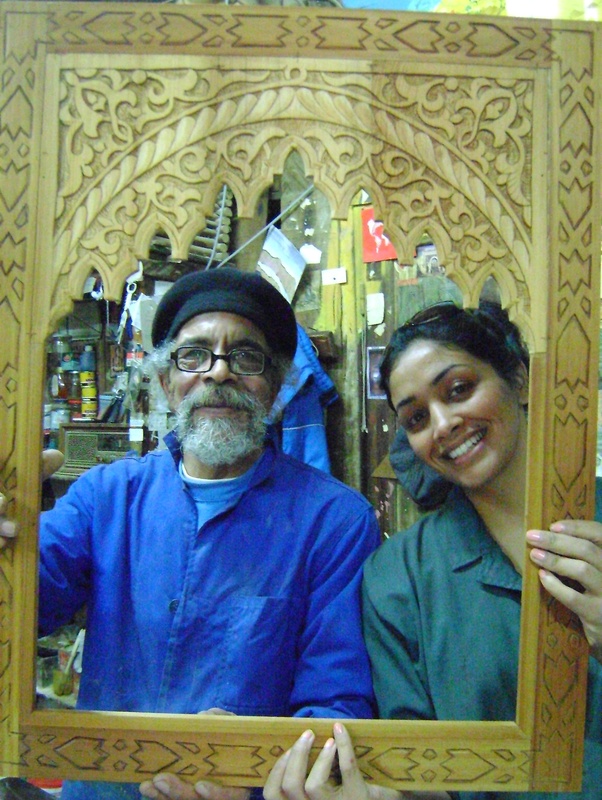 This April 2014 Minah Khalil, a UK design teacher, currently resident in Dubai, spent two weeks as an apprentice of Hassan the woodcarver. Her Fez residency proved that she could combine technical appreciation with spiritual augmentation. In just two weeks, Minahdeveloped an endearing appreciation and respect for Mallum Hassan, the Sufi Festival and Fez old medina; in addition, some incredible creations from the workshop bench. Minah Khalil and Hassan. April 2014. More opportunities for artists to spend time in the strong and dexterous hands of an artisan are nigh. 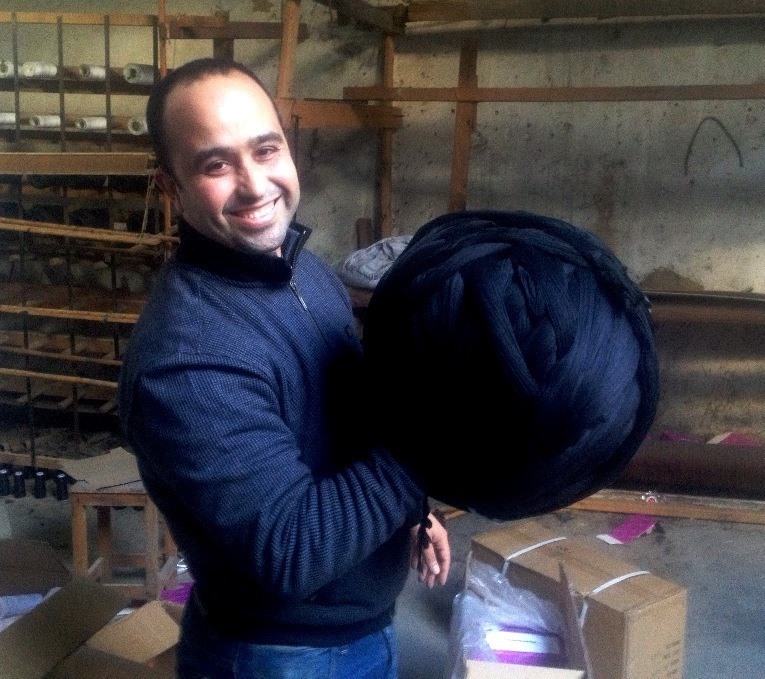 Kim Simon from Australia will reside in Sefrou and work alongside tailors, tanners and weavers throughout May 2014; the fruitions of which will be presented at this year’s festival pOp Up venue during the Fez sacred music festival in June. An open call for artists wishing to immerse themselves in Fez and its region and work alongside a traditional artisan should be guided to the call-out and details of Artist in residency AiR Artisan. Indeed, this September 2014 Sefrou will bring host a group of contemporary artists from Fez, Cairo and beyond and facilitate encounters between artists and traditional craftspersons. Let’s not forget the open minds, souls and flowing pens of the Exposé Artisanal citizen reporters; Sue Bail and Alice Barnsdale especially, who have presented to the electronic audience warm personalities, insights and descriptive portraits. CV will continue to make deeper connections recording the personalities behind the Fez crafts. Both new and current citizen reporters are encouraged to drink tea with a crafts person, document interesting moments and submit material in the format of choice. See a new side to Fez, come a little closer. Zaki ‘The investigator’, Said and Alice Barnsdale. This art-tickle comes with chokrane, baralakaoufik and ‘liber’fikum bezeef for all artisans and artists involved in this project thus far. Keep connected for more news on crowdfunding developments, events and activities around the artisanship of Fez and Expose Artisanal. Director of Culture Vultures and Exposé Artisanal. Inside a weaver’s mind: where technical prowess is the warp of the darting imaginative weft. As a student, Mohammed loved mathematics and IT. Today, he uses all of these skills in the complicated techniques required for preparing a loom. For example, his current frame has 150 strands of 26 threads, 13 lines of ‘up’ alternating with 13 lines of ‘down’. He has to focus and concentrate hard when preparing as one mistake can undo hours of work. It is incredibly intricate and systematic the act of threading a loom – some steps require eight people working simultaneously to create the correct tensions and placement of threads. Once the loom is prepared, they can weave for a few weeks then the process starts again. There used to be njars (carpenters) in the medina who were specialist loom makers. You could just give them a set of dimensions and they would build a wooden loom for you. There are none left now, only carpenters who will copy an existing loom or make repairs. In one generation, all the specialist vocabulary describing the different parts of the loom, has been lost. We hope Mohammed will document all these terms from his aged father before it is too late. 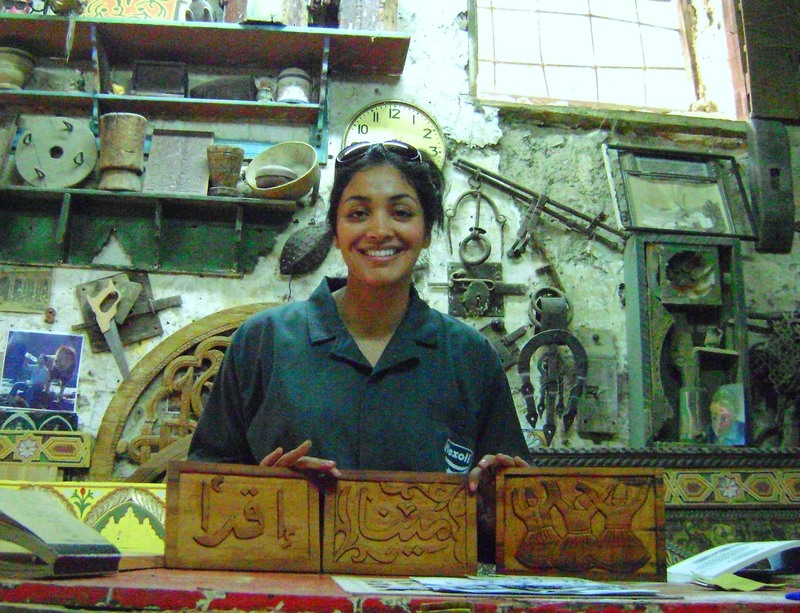 Written By Aisha, a Fassia resident and beloved Artisans of Morocco Citizen Reporter. This update, at the closure of the Exposé Artisanal crowd funding campaign, comes with much gratitude to the many supporters and artisan community that has grown with ease. We have all shared and indulged in many a magic moment. By highlighting the crafts people, their personalities, tales and skills, these new companions are at ease and pleased to share a piece of their daily lives, pinches of contemplation, strike a pose, quote a script, proverb, or poem. Through Exposé Artisanal’s citizen reporters, the traditional crafts people and characters are being captured through relationship building and curiosity. We have gathered the first phase of documentation, in written, visual and audio form. Discussions are underway with a study-abroad program to construct an online virtual map of Now we hope to bring in the harvest of Exposé Artisanal’s crowd funding campaign, to boost the amount of research material, fulfill a give-back vow to the artisans and post produce recorded material for presentation. the medina. This will enable the world at large to click, read, see and listen to the craftspeople. The crowdfunding platform, Zoomaal, are open to negotiate a revised target for Exposé Artisanal collecting 5.000 dollars (half of the aimed target). We are close to 3.000 dollars with a few days left to boost, advance and share this project. Please lend a hand to us again and push this along towards the new target. For instance, select five people from your contact list, who carry a souvenir in the heart of Morocco. Sending them a short mail with a link on the project can be a valuable gesture. We, the ever-growing team, are fervently committed to this project, enriched with new discoveries and old tales each time we plunge into the depths of Fez. Start at S’Bariin ( the dyers street) inside RCif, with the river on your right. Turn a sharp right down toward the woodworkers and weave through the auction of vintage metal home ware. Right, and right again, at the Bissara ( soup) One Stop you are entering Huddadine, the Iron mongers street. Three of these tiny textural and lively workshop spaces host a family tree of FIllali Razzouki metalworkers. 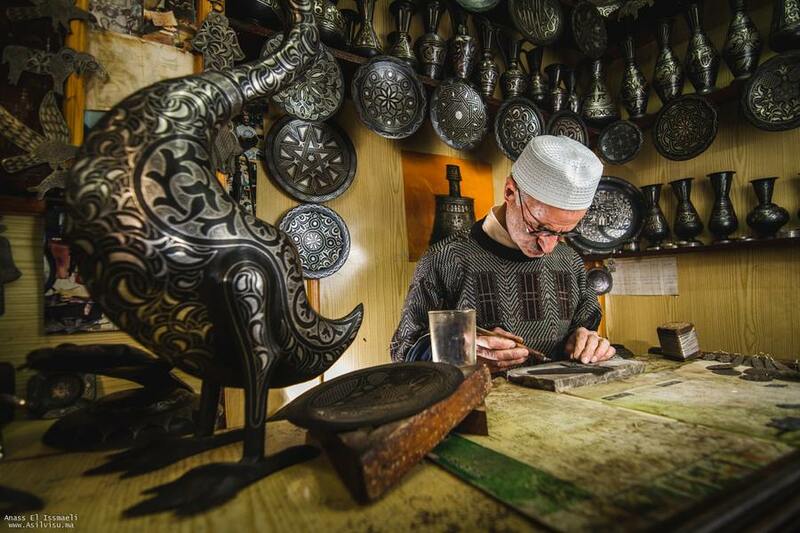 Sharpening, firing, carving, engraving and fine tuning blades and utensils for the surrounding artisanship of the ancient medina. Here tailors, tanners, hairdressers, butchers, chiefs and belt makers frequent the sparkling caverns on this narrow working street. Azzedine neighbors the Bissara stall; scissors and big smiles seem to be his thing. Second along you come upon his uncle, dear Ba Driss, M.A.S. 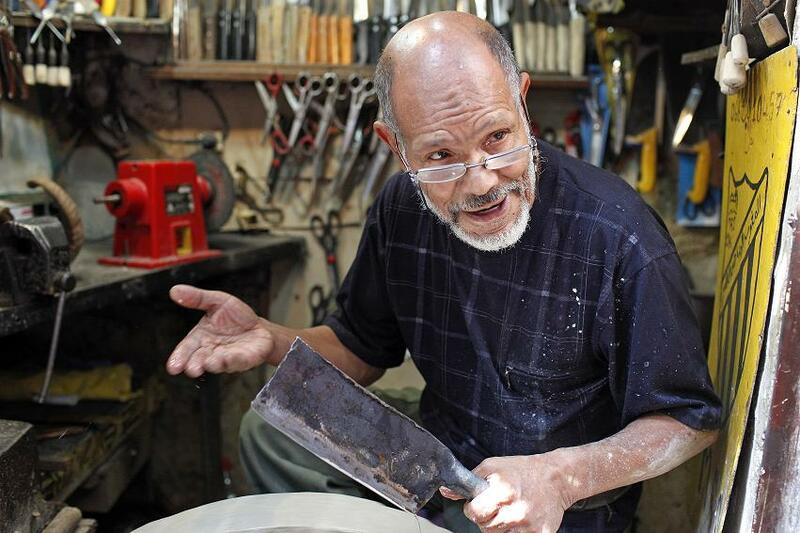 ( Fez medina football team) fanatic, 60 years as master metal smith and an important member in the local community. Of the last few years I have been bridging relations between visitors and the local craftspeople and hense hold a few dozen places in my heart for these people. I have learnt an abundance of grace and spirit from this popular figure of the craft community, a factor of the pulse and bustle of the old medina. This guild and its people are a fundamental element of the engine of the old town, curling around the river. 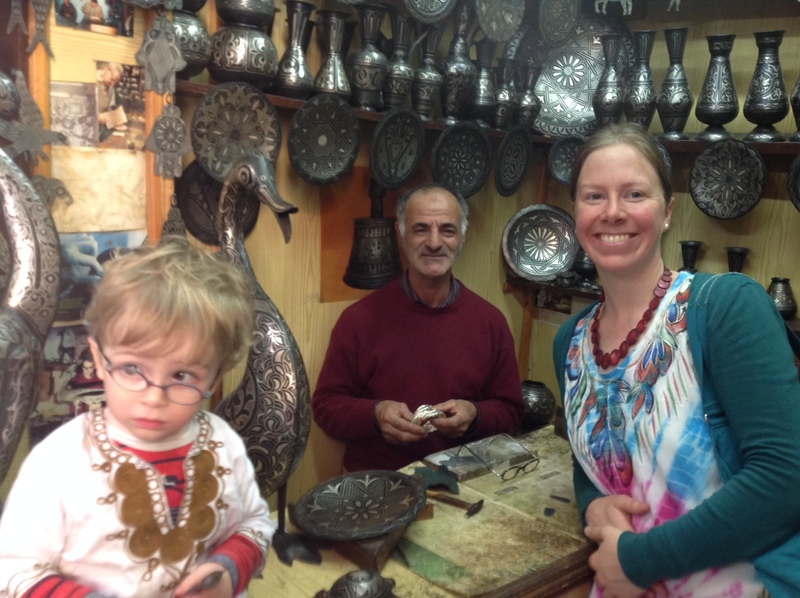 When you meet the rusty colored roster in one of left hand workshops you are at third workspace in the Huddadine Fillali family, Meet Nourredine, studied law at university and returned to be an iron monger to keep the long family and craft tradition alive, sharpened and shiny. 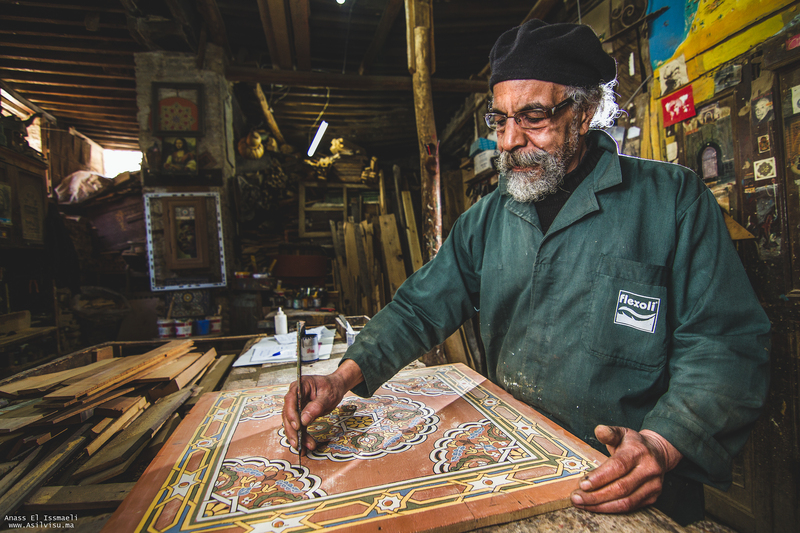 Ba Driss and his rellies rightfully have firm roots in the core of the workmanship that keeps Fez a bustling, hospitable and living Museum. 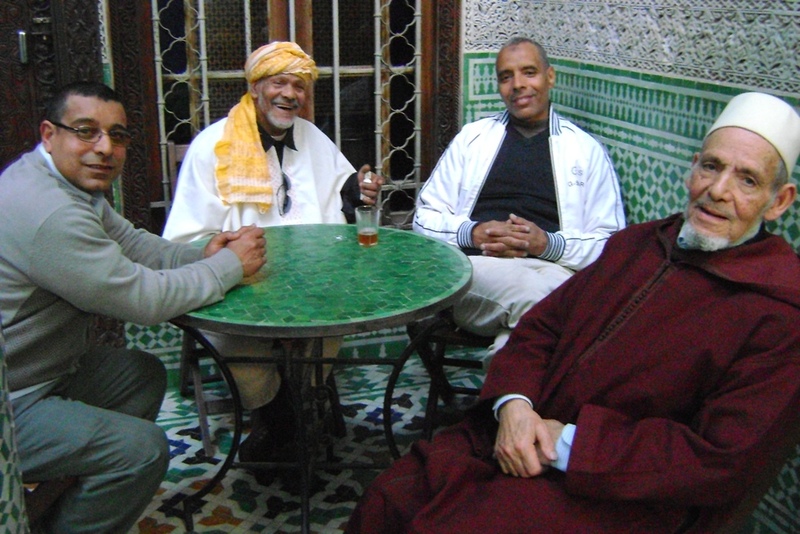 Nourredine, Driss and Azzedine Filali with Haj the slipper maker. 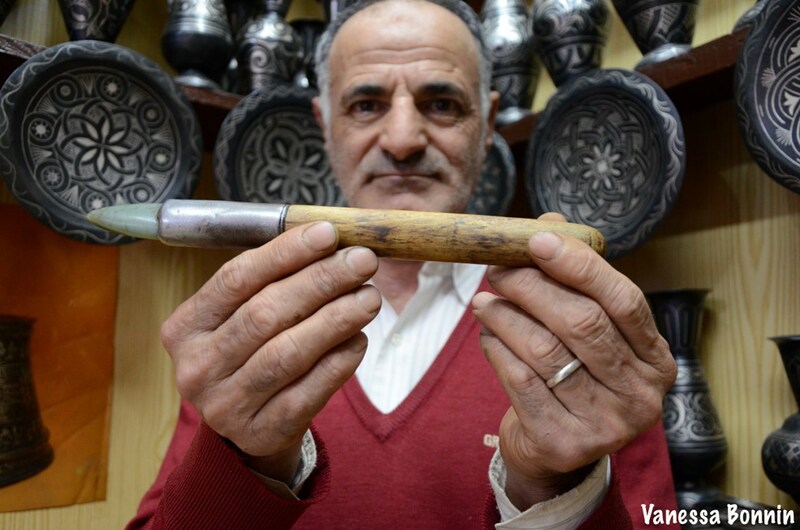 With the reasoning and sad reality that much of Morocco crime involves blades, in early April, the Fillalis, as many other metal smiths, were visited by the police and their stock of knives seized. King Mohammed VI has requested a cleanup of crime in all major cities and medinas and accordingly the government is implementing the sale of knives only to go through supermarkets and big establishments. What are the consequences of the innocent and unheard folk; their livelihoods swept under one criminal carpet? Strike. An empty ethereal scene of closed metal doors. A few days after the incident this is what you come cross if you are a tanner or embosser, or maybe a tailor in need of your usual maintenance and tool source. It will be like this a few days more was the word on Huddadine today. If in need go to Carrefor is the supposed proposal. A royal commandment implemented, much stock taken, the handcrafting of knifes ceased and a family tradition on strike. The furnace’s ember in the core of the artisanship of ancient Fez is turning to cold ash. What should they do? What would you do? “I’ve brought him inside today,” Said tells me as I turn my head towards a soft chirping sound and discover a little bird in his cage set on the floor tucked behind the counter. “So he doesn’t catch a cold”, he adds. I ask him if he lives close by. “Oh yes, near Sidi Ahmed Tijani” and he points south east to where he’s standing as though we are suddenly at a bird’s-eye view of the medina and can map out the path directly to his home. Instead we can see little else than the decorated walls enclosing us. But I know where he means; I’ve weaved my way past that mosque many a time over the years with my husband Ali and our dogs as we return to our house from a walk on the Jbel Zalagh hillside reentering the medina via the hotel Palais Jamaii entrance. So I nod to confirm we’re on the same page. Said tells me that he lives in the house where he was born, where he got married, and now where he and his wife and 3 daughters live. They share the house with his brother and family. “We have the first floor and they have the ground floor” he states matter of factly. He goes back home everyday to lunch with his wife and daughters. He closes up just before the evening prayer. He opens in the mornings on Fridays to tie up loose ends before heading off to the main Friday prayer. His daily routine ticks along like clockwork. Photo by Anaas Med El Issmaeli. Hidden inside the only cupboard in his shop, are Said’s father’ s and grandfather’s tools. “I haven’t been inside this cupboard for 10 years; not since my father died.” He raises his eyebrows as he says this and waves his hand back and forth to denote the years flying by like salt over his shoulder. He brings out a small newspaper bundle, hardly crumpled, (hardly touched), and unfolds blades that more resemble excavated arrow heads I remember from the Roman museum of my hometown after they found remnants under our local Somerfield supermarket. “A quick polish with wire wool will clean these up” he chirps,”they are all ready to use”. He repeats their usability to us again as he unfolds another blade and presses his finger tip against the point. I do the same. No blood but I do think of the knife sharpeners down in Bab Sinsila and the sparks that fly when a dull blade hits the mill stone they pedal into rotation. The family blades return to the cupboard. There is one last piece remaining made by Said’s father; a huge urn sits on the top shelf on the right as you enter. Above head height, it would take a very curious customer to spot it. I imagine Said casting his eyes up from time to time to admire his father’s work as he sits on his stool rubbing the jade stone wand across another finished piece. “My father was a teacher, you know. 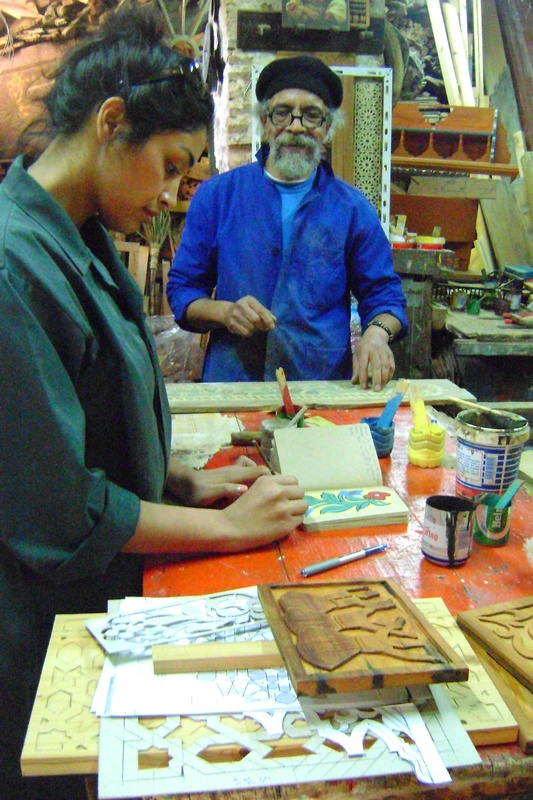 He left Fez, his workshop and his family to go and train apprentices in Meknes. A rich Meknessi offered him a good deal. But he reached a point where he missed Fez, so he came home, back to this workshop. His dad, my grandfather, had the workshop next door although we sold that years ago. People now think this craft is from Meknes because there are still a number of maalems, or master craftsmen, in Meknes who do the craft but it was my father who taught their fathers and my grandfather who taught my father.” His tone is honest and soft. We all study the faded picture of his father. The hook in the door frame of the shop hangs empty today but Spring is on its way and soon Said’s chirping companion will resume his elevated position and sing out, as we all like to do, when the sun shines upon our backs. By Alice Barnsdale, 9 years in Fez and married into a family of artisans. For the 3rd “Shakespeare in Fez: all the medina’s a stage”, a quote from Iago in Othello comes to mind to match this week’s photograph.